1. I wrote with Jimmy on a few different songs on this album. 3. My husband recorded the tracks in our studio, yep, in our home for this album. 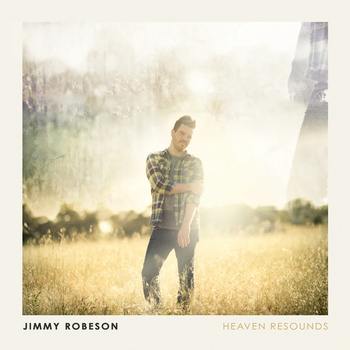 So I can’t say I will have a total outsiders perspective on this record because Jimmy is a dear friend of ours, who my husband and I have spent numerous moments with, sipping coffee with or eating lunch or dinner with while discussing the things that make up the living of lives. It was during many of these moments that we had our guitars and began garbing the words we discussed with melodies and chords. A few of the songs we wrote went on his cd and then another went onto my new cd (Track #4, Hope, on my new cd called “Current”). So it is with the perspective of the “fly -not necessarily on the wall but more like hanging out in the center of the room” that I will give my thoughts on this new cd, because I was around, frequently hovering near the studio door while tracks were being shaped, or even sometimes just barging right in and planting myself on the couch, whether they wanted me there or not. At this moment (if I had written this earlier today things probably would’ve been different) I would say that my favorite song on the record is the final track of the album called “Chasing Me,” that Jimmy co-wrote with another talented San Diego musician, Joseph Pfeiffer. There is whimsy in the production that so perfectly pairs with the lyrical content. Next I would have to jump to the second track on the record, “Heaven Resounds.” I had this song on my running playlist for months before the verses were even completely written on it and I can remember pushing uphill with a smile on my face so thrilled to be one of those that are His people. Yep there has been much fist pumping and “Yaaaaa-ing” with this track. -Yes, that David Crowder sounding acoustic guitar on “Turn To Praise” is actually Mr. Crowder himself. -Yes, “Sunrise” was written by Jimmy while he was in Spain watching the sun rise. -Yes, much of the programming is by non other than the uber-talented JT Daly of the band Paper Route (he co-produced my new record because I am such a fan of his). -Yes my husband, Jonny MacIntosh, perfectly captured Jimmy and his songs in the producing of this cd. Who better to go along on the ride that is making a cd than friends? This entry was posted on Monday, July 18th, 2011 at 12:01 am	and posted in Anything and Everything. You can follow any responses to this entry through the RSS 2.0 feed.